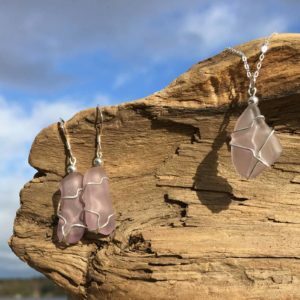 Sea Glass by Sue is made by – you guessed it – Sue! 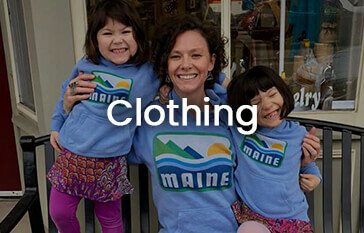 Sue and her family have lived in Maine for over 25 years. 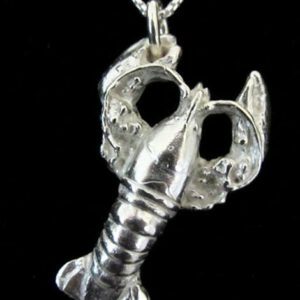 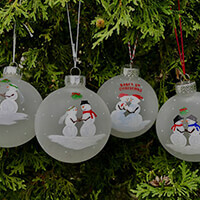 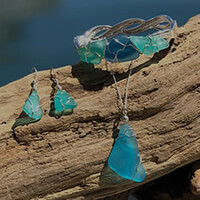 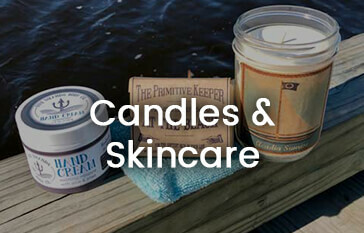 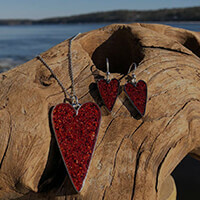 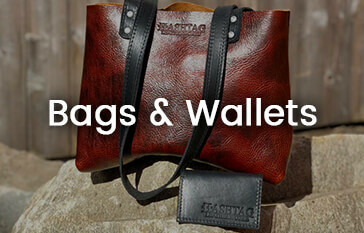 Her sea glass collection is handmade in Kennebunk, Maine. 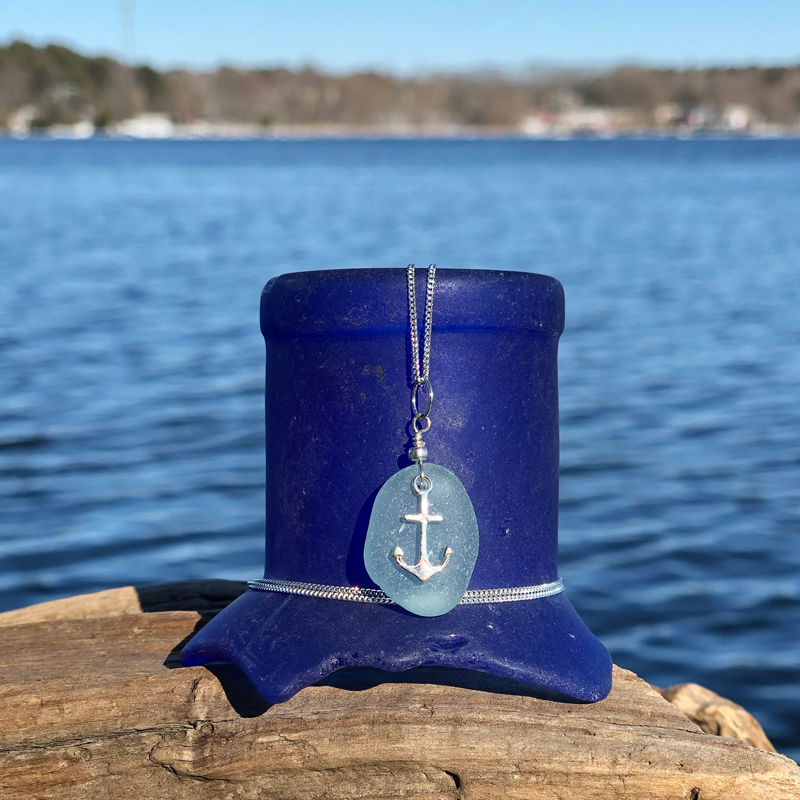 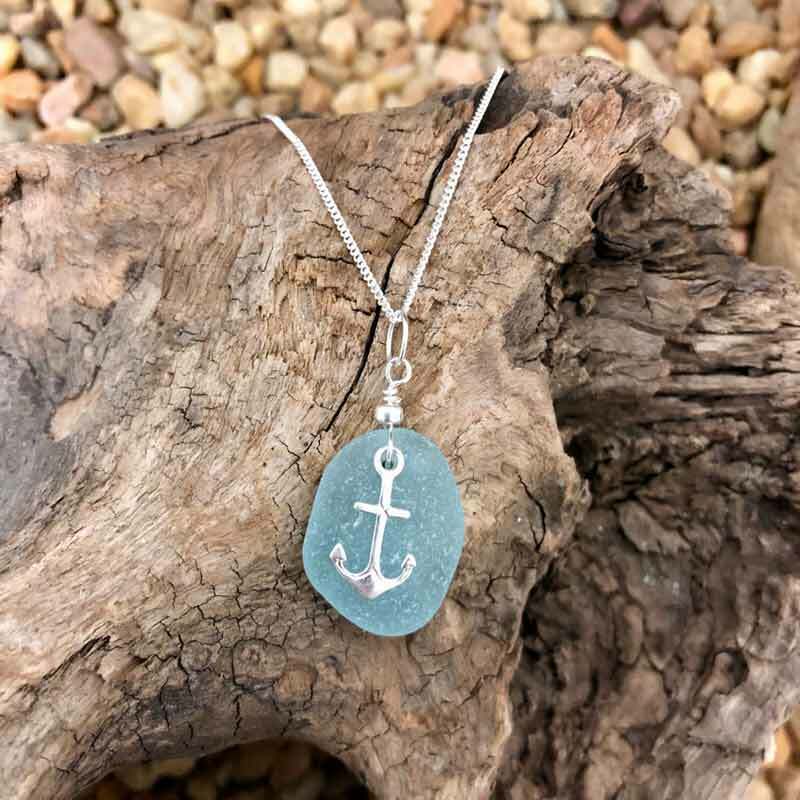 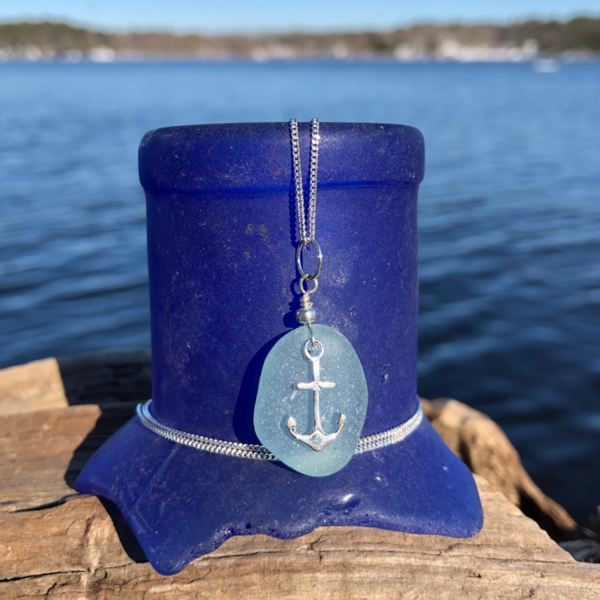 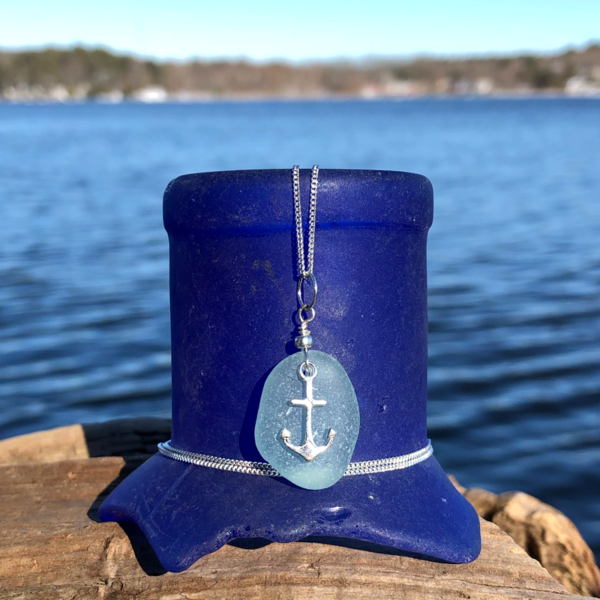 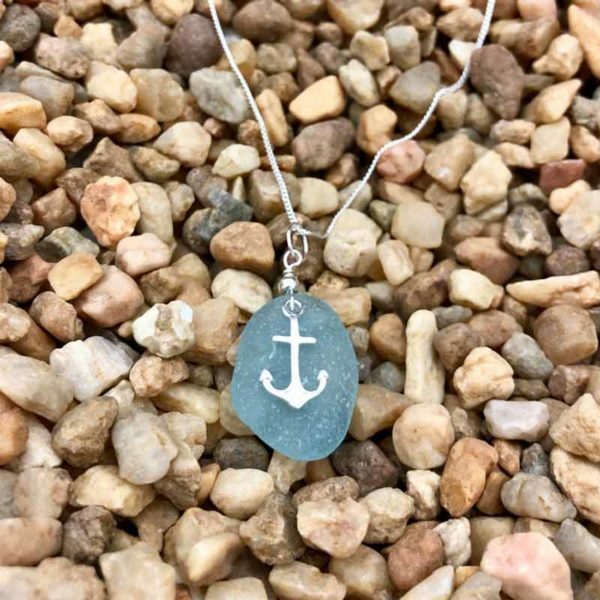 Each piece of sea glass is naturally surf tumbled and created with sterling silver to create beautiful pieces of jewelry such as this Sea Foam Sea Glass with Anchor Charm Necklace.